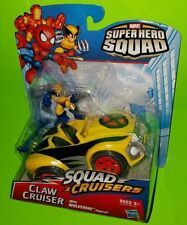 MARVEL LEGENDS (WOLVERINE & MOTORCYCLE )MSIB! Now there's nothing wrong wt Wolverine & Motorcycle ! They are Mint Sealed in box and are in great condition as far as I can see. They have never removed out of the box or plastic shell casing! 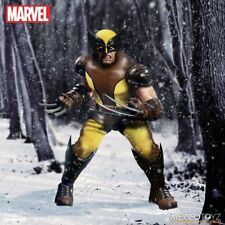 NEW Marvel Legends 6" Wolverine X-Men Wave 3 w/ Apocalypse READY TO SHIP! Material: PVC. - Reply Within 24 Hours. For Sale is a Marvel Legends Wolverine 6 inch Action Figure by Hasbro. Figure is new, just removed from the package. No BAF piece Included. Free shipping by USPS First Class Mail. Payment is by PayPal Only. All Sales are Final....NO RETURNS. Trending at $14.00eBay determines this price through a machine learned model of the product's sale prices within the last 90 days. 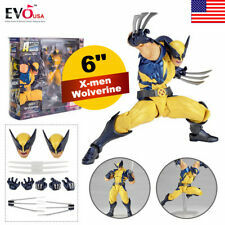 Description: Marvel X-men Wolverine Movable Figure Material: PVC Size: 6'' height Type:Action Figure Character Family:X-Men With extra heads and hands Original retail box packaging Great gift for X-men Wolverine fans. Owned by an adult collector and used for display only. No paint blemishes and all joints are tight. Hello again 2-D Fanatics! He's the best at what he does, and what he does isn't very nice! The corners have are pretty sharp and the plastic is in great condition. He is like new otherwise. Nearly Full on Marvel Legends poseability, and a great face sculpt. Motorcycle from Marvel Legends WolverineUltimate Riders series. Never used or displayed - fresh from new box. Marvel Legends Lady Wolverine NO Sauron BaF NEW!! Pick-up Option is ALWAYS FREE! Providence, Rhode Island 02908. 182 Academy Avenue. Marvel Legends Wolverine Juggernaut BAF Figure. Condition is New. Shipped with USPS Priority Mail. No international bidders please. Nearly Full on Marvel Legends poseability, and a great face sculpt. 1998 10 Inch Marvel Civilian Heroes Wolverine Toy Biz X-Men Universe Logan. Condition is New. USPS PRIORITY PACKAGE for shipping. Clearance and Great Deals! Product Details. Wrestling Shirts. TV Show Shirts and More. Music Shirts. Movie Shirts and More. Junk Food Clothing. Funny & Internet. 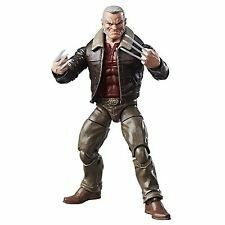 Marvel Legends DAKEN Wolverine's Son! Unmasked Variant! Toy Biz 1992 The Uncanny X-Men Weapon X 4th Edition Wolverine NIP. Condition is New. Shipped with USPS First Class Package. Marvel Legends Gambit X-men Caliban Wave LOOSE NO BAF PART. Condition is Used. Shipped with USPS First Class Package. Up for auction today is the Marvel Legends Wolverine from the Apocalypse build a figure wave. Figure comes complete with all accessories but is loose with no box. Comes from a smoke free environment and a collector's home. Pictures are of actual item. Marvel Legends. An unpaid item alert will. With extra heads and hands. Material: High Quality ABS. Our products ranges from toys, jewelry, fashion bags, wigs etc. 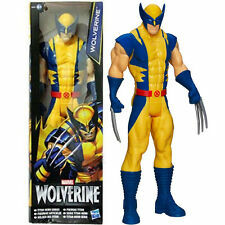 New unopened Marvel Famous Cover, Wolverine 8” Ultra Poseable Figure, with Authentic Fabric Costume. Lovely Decoration,Great Gift! Character FamilyMarvel Universe. Please view the pictures to see the condition of the item. Feel free to ask any questions before purchase. Thanks!! Here we have the Marvel Legends Toybiz Xmen Lot! 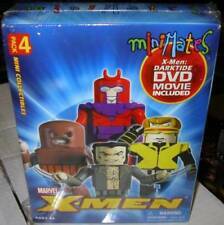 Figures include Wolverine, Cyclops, Mystique, Omega Red, and Sabretooth. In terms of condition, they’re all in pretty good condition. Some joints are slightly loose, but some are still tight. All in all, they look great. Good luck and don’t miss out on a good deal! Wolverine is new in the package and has never been opened. The package is in good condition with little wear. 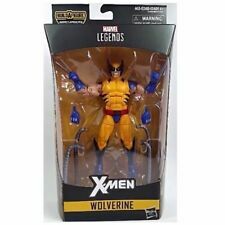 Marvel Legends Weapon X Wolverine X-men Caliban Wave - NO BAF. Condition is Used. Shipped with USPS First Class Package. We are committed to resolve all issues in a friendly and satisfactory manner. Origin: CHINA ( not original japanese version, but quality is good). Material: PVC.